At Kuhlmans we strive to provide great service at an affordable rate. We want our customer to know that we are here to be your dependable lake service provider. 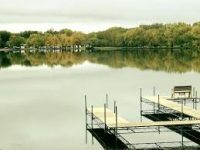 We have a full service welding shop, full lake service capabilities, and friendly staff ready to help you when needed. Give us a call with any questions, quotes, or comments you may have. 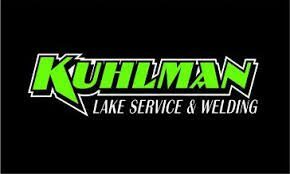 Kuhlman Lake Service started in 2007 and has grown substantially thanks to referrals from our wonderful customers. With our 2 barges, we service hoists on East Okoboji, Big Spirit Lake, Center Lake, Silver Lake, Lower Gar, Upper Gar, Lake Minnewashta & Lost Island Lake. We try to coordinate our services with the marinas and dock installers in the area. Kuhlman Lake Service can help you, your landscaping company or tree removal service with many shoreline projects. From adding small rock, bringing in up to 36″ boulders, removing tree branches or other debris, and hauling any other items to or from your lake side property.